Have you heard or seen a health bracelet? It is usually plated with silver or gold to attract elegantly, and manufacturers claim that it rejuvenates your health condition. 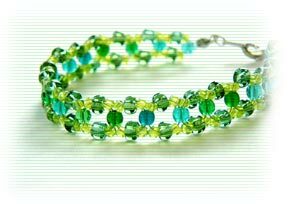 In 1945, when I was 8 years old, I saw several street vendors especially in the flea market selling wrist ring commonly called "health bracelet". Up to this modern time, there are still a lot of jewelry stores selling it as accessories and changing its design to be more attractive. All of them claim that it is effective for hypertension, impotence, ulcer, heart and kidney problems, allergies, asthma, fatigue, stress, insomnia, migraine, and appetite loss. Do You Feel Tired, Stressed, or Fatigued? What do you do when you feel sick? Do you go to sauna or spa? Do you ask for acupuncture or massage? Or, do you just drink a glass of beer? One of the oldest method and a very effective remedy is “acupuncture”. Needle treatment stimulates the nerve systems for rejuvenating cells. However, acupuncture requires an acupuncturist to perform the medication. Couldn't we do it simply by ourselves? When we are suffering from hypertension, impotence, ulcer, heart and kidney problems, allergies, asthma, fatigue, stress, insomnia, migraine, and appetite loss, we may think of taking vitamins or herbal medicines, drinking bear, going to spa, or having some vacation or rest. Can you think of more technical and medical treatment such as moxibustion and acupuncture? These are the immediate remedies we can think of. To answer the question, about 15 years ago, our technical men and I started to study the efficacy of health bracelet and whether it can be explained scientifically or it's just a mere psychological imagination. And, we are satisfied to know that it is really effective as they claim. Some health bracelets are embedded with germanium and other metallic materials to be more effective for some diseases. Our brain emits current that controls our nervous system to maintain good health. However, when we are suffering from fatigue, the current produced by the brain will be impaired and our body systems will be out of balance. According to the health bracelet manufacturers, the metal bracelet receives electricity (similar to a radio wave) traveling in the air. To receive such wave in the air, the bracelet's materials should have a good conduction. 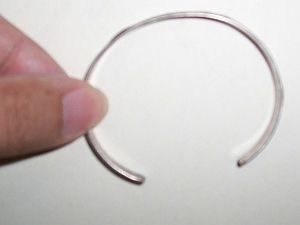 Thus, the bracelet is plated with gold or silver. The wave received in the air is converted to electricity by the bracelet and the current will help in rejuvenating the nervous system. Although the statements of the manufacturers are incorrect, millions of bracelets are sold worldwide. 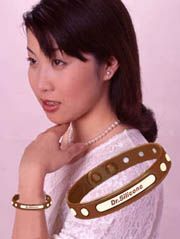 Whether it's just psychological, scientifically proven or not, millions of people claimed that health bracelets worked for them. To know more details, we gathered some data from our scientist friends and we have learned that our brain produces and emits electrical current called “brain wave”. The brain waves travel and control our body by passing through the nervous system. However, whenever we get tired, worried, and get sick, the brain signals do not pass smoothly through the nervous system but only to the surface of skin tissue. This means that our brain fails to control our body systems. This situation will definitely lead us to illness. To revitalize or rejuvenate the function of the nervous systems, moxibustion and acupuncture were introduced in China thousands of years ago. We understood that health bracelet also works in stimulating the nervous system just like that of acupuncture or moxibustion. Health bracelet sounds much easier to use, isn't it? I do not say that my study is 100% accurate. I just believe that my analysis or imagination may be correct, because it works as we expected. As I said, most brain waves pass through the skin tissue instead of nerves, which in turn produce magnetism around the health bracelet. Then, the gold or silver-plated bracelet will create electrical current that may be enough to stimulate the nervous system. This is how our nervous system works in rejuvenating our weakened health. Whether my theory is right or wrong, the 60-year-old health bracelets are doing a good job for millions. In addition, if you're suffering from a serious illness, we recommend you to use the PYRO-ENERGEN. PYRO-ENERGEN is proven effective in eradicating viral diseases, cancer, and diseases of unknown cause.